The exact size of the chart will help you determine, the proper fit of the clothes. 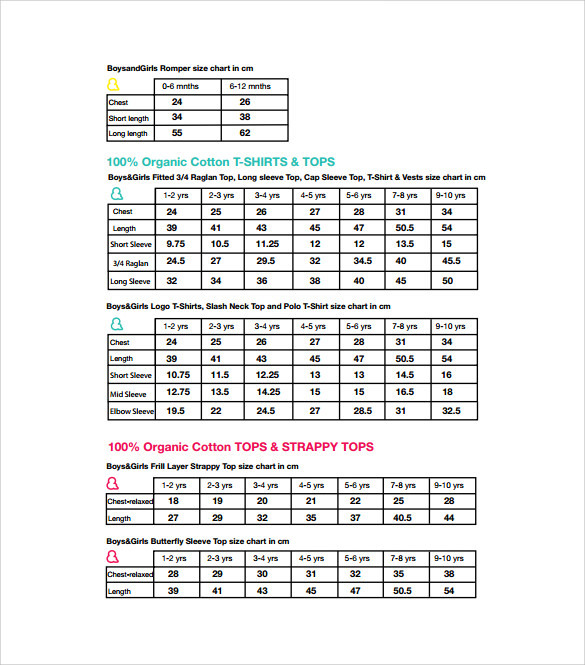 For perfect clothing, the Chart Templates proves much helpful. It is proportional to the weight, height and waist of the child. The baby size Chart Templates helps one to understand the size of the clothes relating to the child. When you have these size charts in front, of you, you will be at complete peace of mind as you can purchase the perfect size clothes for your little ones. The size has vital significance for babies at this stage as they cannot express whether they are too loose or tight. This is a graphical chart to show how much the baby is growing and what should be the actual growth rate of the baby. This graphic covers the time from birth up to 36 months. The graphic is meant for baby girls. This chart is a measurement of the foot size of the baby according to their age. This chart is for infants in general from 1 month to 36 months age. There is length of foot, the ball of foot and other measurements in it. This is a chart to convert the size of a kid to the shoe size available in the market. 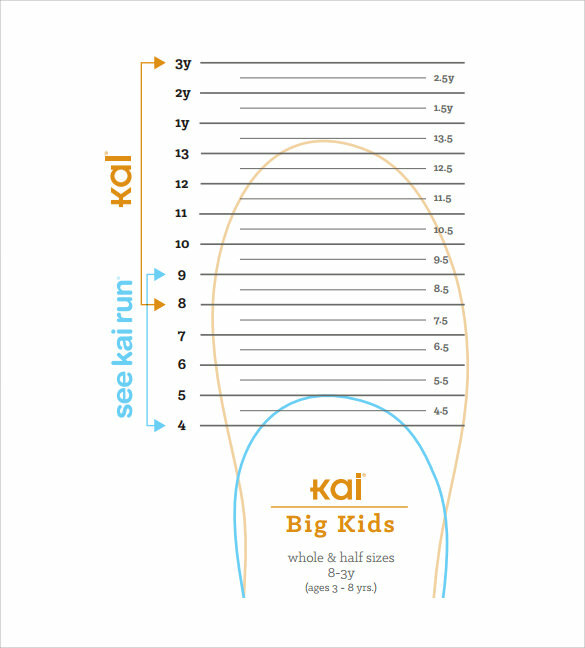 If you calculate the size of a kid’s foot in inches and do not know what size will fit your kid this chart will help. 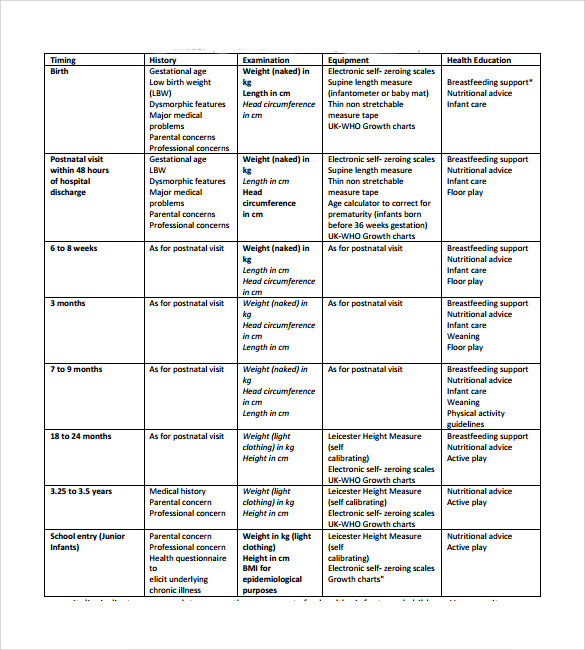 This is a chart which tells you the various types of weight a baby can have in various types of births. 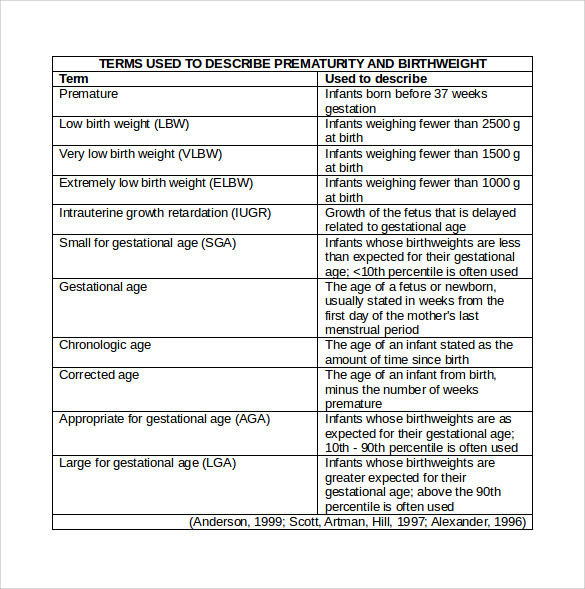 There are medical terms which are used according to the weight of the baby and the size. 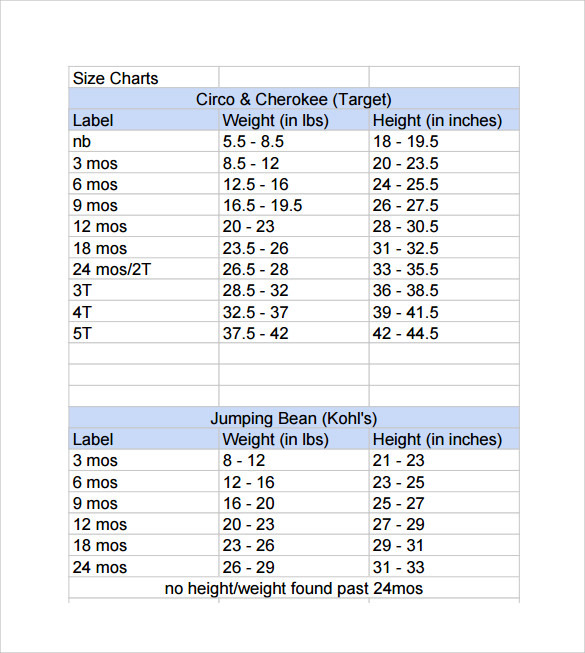 Why You Need Baby Size Chart Template? When a baby is born, one needs to take good care of its growth. It is important to know that what should be the ideal length and weight of the baby at various stages of its growth. Also when you are buying clothes shoes and other such things it is important that you should know the exact size. To keep an eye on the proper growth and to easily buy clothing items for your baby, you need a baby size chart. There can also be conversion charts which help you fix the size of the baby’s foot or body. You may like Baby Weight Charts. How To Create a Baby Size Chart Template? 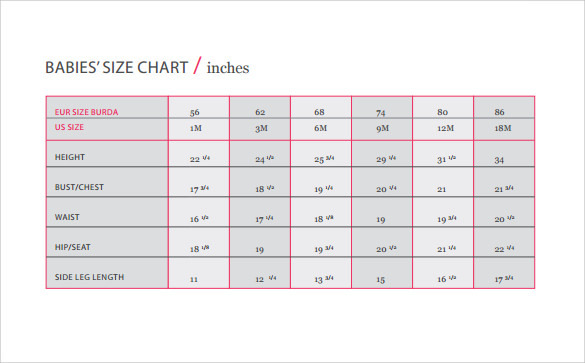 It is not too difficult to create baby size chart. All you have to do is gather relevant information from the pediatrician or the makers of dress or shoes. Then you need to arrange them according to the age of the baby. There are various categories you need to measure, like the ankle size of an infant for buying shoe. Alternatively, if you are keeping a growth chart of the baby, you need to regularly measure the weight and the length of the baby, and keep a record. Remember, all the sizes will be different for boy and a girl. You may also like Height Weight Charts. 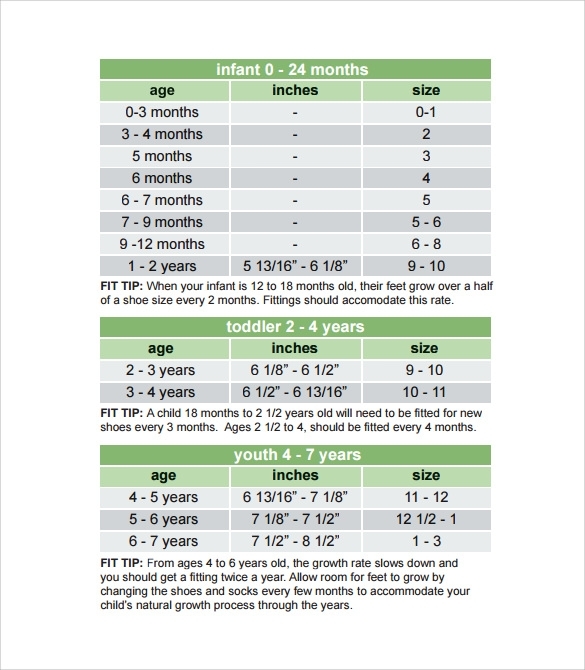 You may think it is a difficult task to maintain a baby size chart, but if you plan properly it could be easy. Make a chart with already gathered data and compare with the measurement of your baby. You have to be organized and make sure that you keep a regular track of your baby’s growth. Alternatively if you are making a conversion rate chart than you have to take data about a number of babies of the same age groups and arrange them according to the size of the dresses or the shoes which you have. You can also see Fetal Weight Charts. The baby charts are important for a number of reasons. 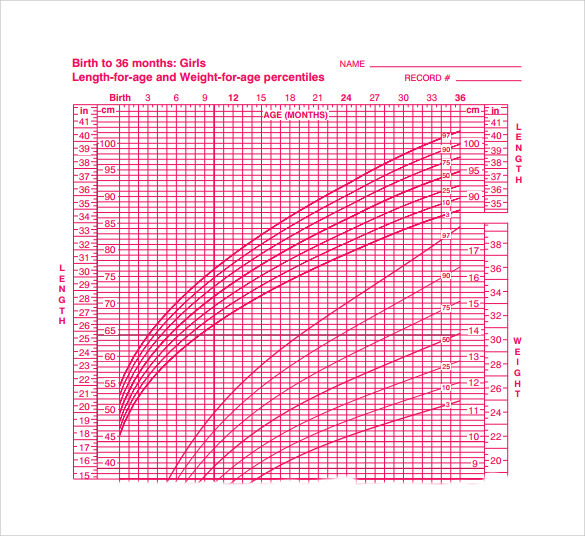 With the help of a growth chart you will be able to easily calculate the growth rate of your baby. Similarly with the help of a size chart for shoes or clothes you will know which dress or shoe will fit your little one and which is not.